It is available from the project page. The current version is our first release on the way to 1.0. It contains not a lot of new features and most of them are in the backend. We had a lot of work with some Problems with our DataBook in DataSource Writeback Isolation Level and with Multi Threading. But we are very satisfied with the release! Compared to the DataRow Level, a DataBook does not save immediate. The mix of databooks with DataRow and DataSource Level with different master references caused problems. Now it is not a problem to use different levels. It is great to use 1:n, n:m or even 1:1 relations with DataSource level, but call save when needed! If your LifeCycle objects extends from GenericBean, the destroy() method is now invoked after the connection is closed. If you don't extend from GenericBean, you can use the ILifeCycleObject and implement destroy(). It is now possible to close connections to remote systems or execute cleanup tasks. Note that DBAccess automatically closes the database connection. Security Managers have now a release method. This is important if you want to change the security manager because now it is possible to free all used resources. It is now possible to configure images for rendered cells. Image and Text combinations in cells are now supported. We added some useful methods to ResourceUtil, FileUtil, StringUtil and ArrayUtil. Introduced the new class TriggerAPI for server-side triggers. XmlNode.getValue() for an attribute with an empty value returns now null instead of an empty string. UIImage.getImage("invalid") returns null instead of an UIImage instance without content. Be aware of NullPointer Exceptions. logout method of ISecurityManager is only called for MasterSession and not for SubSession. Before 1.0 is was called for all Sessions. ResourceUtil searches local files only from directories which contains jar files and not for directories which contains class files. Now logging.properties per project are supported. We work with high pressure on VisionX. Therefore it became also somewhat calmer. 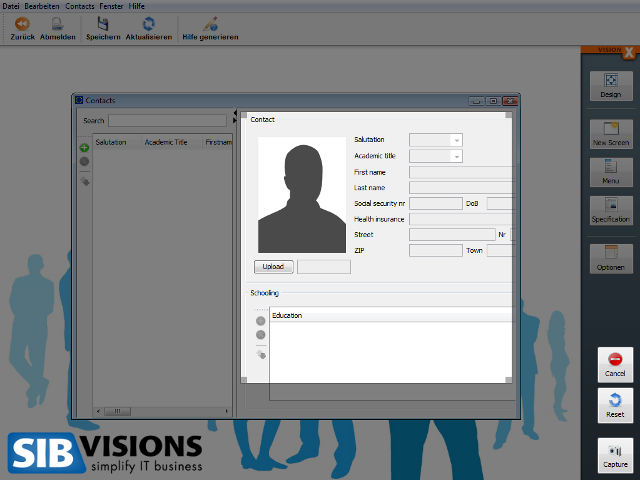 But now it is time to give you a short preview of VisionX. You don't know what VisionX is? This tool places all well-known tools into the shade. 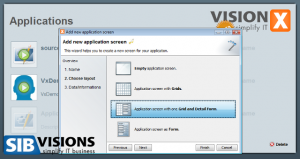 With VisionX, you create Enterprise Applications without any IT knowledge. Use an incomparable Visual Designer (real 2-way design) to create your application. Create your data model on the fly. No need for deployments. The source code is very clean and structured - not the usual generator spaghetti code. And the best... Change your application while you work with it. 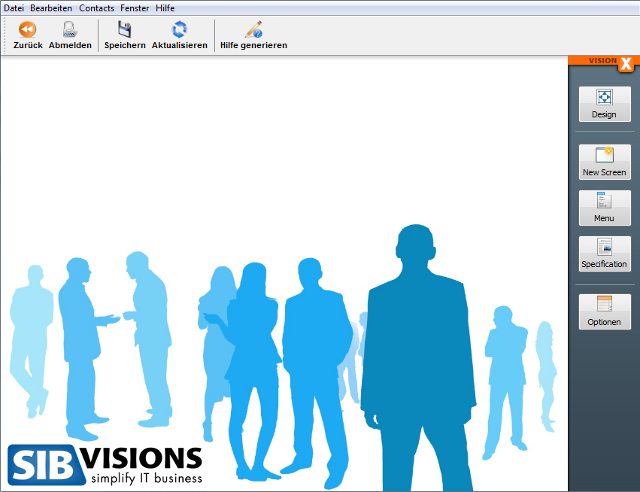 In the next weeks we publish some videos about VisionX and the impressive features. Today we show you some screenshots and hope you enjoy it. 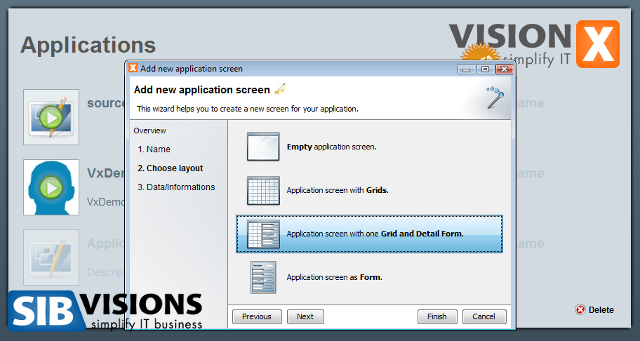 VisionX is not an IDE or just for top-class developers. It is for end users and sure, developers will love it. 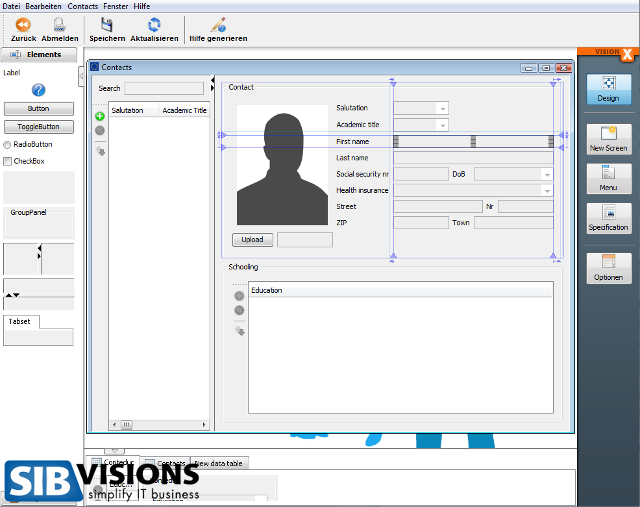 VisionX runs in your Web Browser and the created applications are pure JVx applications therefore created with open source software.